You will find below the horoscope of Kristen Bell with her interactive chart, an excerpt of her astrological portrait and her planetary dominants. If you know the time of birth of Kristen Bell, we would appreciate it if you would send us your information with your source, at stars@astrotheme.com. To thank you for contributing to the enhancement of our astrological database, we shall be glad to send you the astrological portrait (34 pages) of this celebrity. Horoscopes having the same aspect Venus trine Pluto (orb 0°34'): Jared Leto, Jimi Hendrix, Gisele Bündchen, Elizabeth II, Adam Levine, Kate Moss, Michael Jordan, Kat Bjelland, Gigi Hadid, Ricky Martin, Johann Sebastian Bach, Jimmy Page... Find all the celebrities having this aspect. Horoscopes having the same aspect Venus opposite Neptune (orb 1°52'): Gisele Bündchen, Bono (U2), Brigitte Macron, Priyanka Chopra, Laetitia Casta, Zendaya, Paul Klee, Mia Farrow, Patricia Bündchen, Eugène Ionesco, Lucy Hale, Boy George... Find all the celebrities having this aspect. Celebrities born the same day: Nelson Mandela, Priyanka Chopra, Vin Diesel, Mélissa Theuriau, Richard Branson, Wendy Williams, Hunter S. Thompson, Elsa Pataky, Lee Taemin, M.I.A. (artist), Chace Crawford, Maria Pacôme... List of all the celebrities born on July 18. Celebrities being the same height: Lady Gaga, Avril Lavigne, Kat Bjelland, Nicole Richie, Carrie Fisher, Christina Ricci, Nelly Furtado, Ellen Page, Cole Sprouse, Hayley Williams, Lisa Lopes, Zoë Kravitz... List of all the celebrities being 5' 1" tall. Celebrities clicked on in real-time: 577,045,998 times. Kristen Anne Bell (born July 18, 1980) is an American actress who is best known for starring in the title role on the television show Veronica Mars. Height: 5' 1" (1.55 m) Early life Bell, who is of Polish and Irish descent, was born and raised in Huntington Woods, Michigan, a suburb about 3 miles north of Detroit. As a child she once broke both wrists at once, while playing hockey. She went to her first audition at age 11 and won a dual role as a banana and a tree in a suburban Detroit theater's production of Raggedy Ann and Andy. She attended Shrine Catholic High School in nearby Royal Oak, where she took the starring role in the school's 1997 production of The Wizard of Oz as Dorothy Gale. Here are some character traits from Kristen Bell's birth chart. This description is far from being comprehensive but it can shed light on his/her personality, which is still interesting for professional astrologers or astrology lovers. 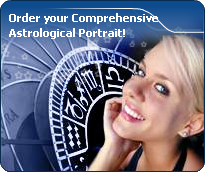 In a matter of minutes, you can get at your email address your astrological portrait (approximately 32 pages), a much more comprehensive report than this portrait of Kristen Bell. Warning: when the birth time is unknown, which is the case for Kristen Bell, a few paragraphs become irrelevant; distributions in hemispheres and quadrants are meaningless, so are dominant houses and houses' accentuations. Therefore, some chapters are removed from this part. Cheers for communication and mobility, Kristen Bell! The predominance of Air signs in your chart favours and amplifies your taste for relations and for all kinds of short trips, whether real (travels) or symbolic (new ideas, mind speculations). You gain in flexibility and adaptability what you lose in self-assertion or in pragmatism. The predominance of Water signs indicates high sensitivity and elevation through feelings, Kristen Bell. Your heart and your emotions are your driving forces, and you can't do anything on Earth if you don't feel a strong affective charge (as a matter of fact, the word "feeling" is essential in your psychology). You need to love in order to understand, and to feel in order to take action, to the detriment of a certain vulnerability against which you should learn to fight. Kristen Bell, the Cardinal mode is dominant here and indicates a predisposition to action, and more exactly, to impulsion and to undertake: you are very keen to implement the plans you have in mind, to get things going and to create them. This is the most important aspect that inspires enthusiasm and adrenalin in you, without which you can grow weary rapidly. You are individualistic (maybe too much?) and assertive. You let others strengthen and improve the constructions which you built with fervour. After this paragraph about dominant planets, of Kristen Bell, here are the character traits that you must read more carefully than the previous texts since they are very specific: the texts about dominant planets only give background information about the personality and remain quite general: they emphasize or, on the contrary, mitigate different particularities or facets of a personality. A human being is a complex whole and only bodies of texts can attempt to successfully figure out all the finer points. You are sensitive to beauty, Kristen Bell, and your emotional reactions are often of an aesthetical order because, even in the appearances, balance and harmony are necessary for your well being. You easily identify with others, you have a talent for emphasizing their best qualities and you solve their problems with tact and diplomacy. You endlessly weigh the pros and the cons and you constantly try to please your interlocutors. In doing so, you may develop a strong dependency because you need their approval too much. It is difficult for you and your entourage to deal with your indecisiveness because it inclines you towards contemplation more than towards creation and you are tempted to procrastinate unless you try to charm others into doing things for you. But as long as harmony prevails... isn't it what matters? Your intelligence is sensitive and delicate, with good comprehension abilities, Kristen Bell, which endows you with a strong intuition and receptivity. To you, impressions and feelings prevail over facts and your excellent selective memory is not cluttered with useless elements. Although you are not aware, your fertile imagination may lead you to change your daily reality so that it matches your dreams better. If you are creative, you may make use of your imagination in literary pursuits where you can freely invent beautiful stories taking place in the past. Your passion for History is such that you may immerse yourself into it with too much nostalgia and therefore, you may miss opportunities the present offers to design projects and to think of the future. What is it, that really appeals to you, Kristen Bell, to love or to please? You have so much charm and so much volubility that you easily manage to be what is known as a femme fatale. Feelings and intellect are so tightly mingled that you may not know any more whether you are really in love or whether you are acting. You have a taste for flirt and variety, and you appreciate very much complicated situations where no one knows where the truth lies any more. You shift from one game to another. To you, everything can be an agent for seduction, be it your attitudes, your words or the way you dress. You do not separate your actions from your desire to please. People who do not understand this are in trouble because, if they take your sweet and well-phrased speeches too literally, they are likely to undergo cruel disappointments: for you, it is only a matter of living in the moment and you never commit yourself because, above all, you loathe confinement, even just its thought. No one can say that you are particularly aggressive, Kristen Bell! Actually, it takes a great deal for you to become able to express your anger because you belong to the wavering type and you are not prone to risk-taking; you loathe violence and you would rather not intervene than start a conflict. Moderation and the happy medium in all things are your favourites. One of the only areas that makes you wage war is injustice, whether you are the one who is stricken or whether it is someone who is helpless. In this particular field, as in that of sexuality, you are not impulsive and you appreciate it very much when your partner shows the way, preferably with much serenity and gentleness. Actually, the form and characteristics of your sexuality depend on the rest of your personality. This text is only an excerpt from of Kristen Bell's portrait. We hope that it will arouse your curiosity, and that it will prompt you to deepen your knowledge of astrology, as well as to visit and use the wide range of free applications at www.astrotheme.com.